While the “Question 2” ballot initiative poses a real threat to the people of Massachusetts, the same pro-doctor prescribed death lobby has been promoting a nearly identical measure far and wide across the nation for nearly two decades with very limited success. Despite numerous ballot initiatives, court challenges, and well over one hundred legislative efforts, doctor-prescribed suicide has been affirmatively legalized only in Washington and Oregon. (In Montana, the high court says that doctors are permitted to raise consent as a defense in a homicide or civil case.) Once several key points about the law are considered, most states have rejected the notion that doctors ought to be able to prescribe death to patients. 1. The proposed initiative cannot be legally restricted to only the competent. While the ballot initiative that is currently being promoted claims to restrict doctor prescribed suicide to only the competent, there is no requirement that the patient be given a psychiatric evaluation. It is a well established psychological fact that nearly every terminally ill patient who desires death is suffering from treatable depression. This means that a physician, with no previous relationship with a patient, can prescribe suicide to that patient without even a specialist’s evaluation to see if there is common depression, or other judgment-impairing conditions. Even more shockingly, State courts have ruled time and again that if competent people have a right, the Equal Protection Clause of the United States Constitution’s Fourteenth Amendment requires that incompetent people be “given” the same “right.” Under the Massachusetts state constitution, this would also be the case. Consequently, a “surrogate” could direct doctor-prescribed death for those unable to make decisions for themselves, such as patients with an advance Alzheimer’s. 2. The proposed safeguards are extremely difficult to enforce. Even if the safeguards were legally meaningful, which they are not, how would one go about enforcing them? Suppose that a cancer patient who has recently moved to Massachusetts requests doctor prescribed suicide and is given the lethal drugs. Then her daughter, who lives out of state, only finds out about it once her mother has committed suicide. Suppose the daughter knew her mother was being treated for early dementia in a nearby state. Not only would there be no legal requirement to notify the daughter, she also would have a very difficult time seeking legal recourse. Under the proposed initiative, the standard of care doctors are required to meet is lowered far below the regular standard of care in malpractice lawsuits. What is even more disturbing is that in Washington and Oregon, death certificates are not permitted to give suicide as the case of death. Moreover, in those states the health department must destroy the required underlying reporting paperwork after only one year. This makes both potential litigation, and identifying true numbers of suicides very difficult. 3. While it is claimed that only religious and pro-life groups oppose these measures, the strongest opponent of these laws in the states are disability rights groups and medical societies. 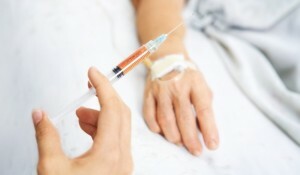 One very outspoken group against the practice of doctor-prescribed death is the disability rights group “Not Dead Yet.” According to the group’s website, “Since 1983, many people with disabilities have opposed the assisted suicide and euthanasia movement. Though often described as compassionate, legalized medical killing is really about a deadly double standard for people with severe disabilities, including both conditions that are labeled terminal and those that are not.” There is a long list of national and state disability rights groups that join them in opposing these laws. Additionally, the Massachusetts Medical Society’s House of Delegates voted overwhelmingly to retain the Society’s long-standing opposition to physician assisted suicide. The final tally was 178 to 56. That position was reaffirmed last week. 4. Not one person in Oregon has chosen suicide because he or she was in pain. In Oregon, where doctor prescribed death has been legal for well over a decade, there have been several studies conducted through family members and even patients before they died about why they are using suicide. Shockingly, not one person has requested suicide because he or she was in pain. In fact, the studies show the predominate motive is fear of becoming a burden. Moreover, modern medicine has the ability to control pain. A person who seeks to kill him or herself to avoid pain does not need doctor prescribed suicide, but a doctor better trained in alleviating pain. 5. There is evidence that the overall state suicide rate for teens and other will rise. Oregon’s suicide rate, which excludes suicides under its physician-assisted suicide law, has been “increasing significantly” since 2000 according to a 2010 state-issued report. Moreover, the suicide rate in Oregon is a full 35% higher than the national average. Not attempting to prevent suicide in the very ill, and in fact encouraging it, appears to have also had an effect on suicide in general. With so much on the line in Massachusetts, the state cannot afford to legalize this dangerous and uncontrollable practice of turning doctors from healers into those who prescribe death to their most vulnerable patients. This article courtesy of NationalRighttoLifeNews.org. Jennifer Popik, JD, is from the Robert Powell Center for Medical Ethics in DC. Health Care Law Takes Aim at Reducing Spending, But at What Cost?